The myths and stories surrounding the island’s past concerning Gods & other mythological creatures are not only numerous but represent “food” for the imagination of Naxian people and the island’s visitors. 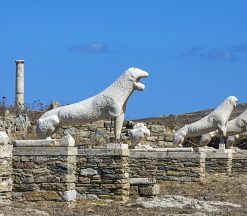 It is said that Zeus himself sent his son Dionysus to Naxos in order to be brought up by the Nymphs Filia, Kleidi & Koroni. Moreover, one of the tallest mountains in the Cyclades, mount Zas (Zeus) in Filoti, was named after the king of Gods. At the foot of the mountain is Mount Zas Cave, in which Dionysus was brought up. 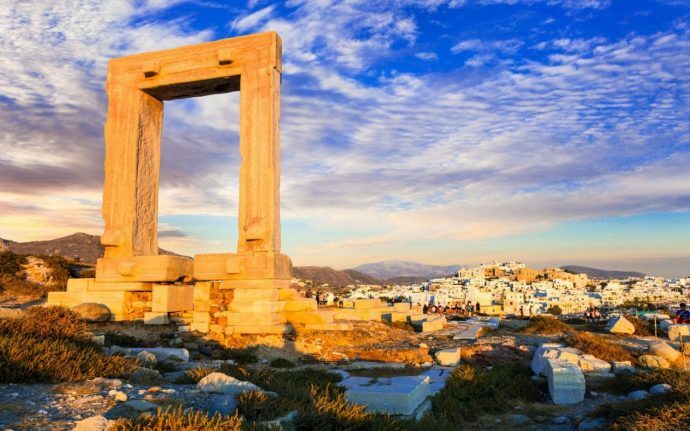 Naxos capital town called Hora, is built amphitheatrically on the west side of the island and is one of the biggest ports of the Aegean Sea. Hora has numerous shops, bars, cafés and restaurants which attract the majority of locals & visitors. The emblem of Hora is the little island that extends from its coast, Palatia, with Portara, the remains of the ancient temple dedicated to god Apollo. Portara is a monument like a door standing alone without a wall attached at its sides. A visit to Portara is advisable, especially after your swim, right during sunset time. 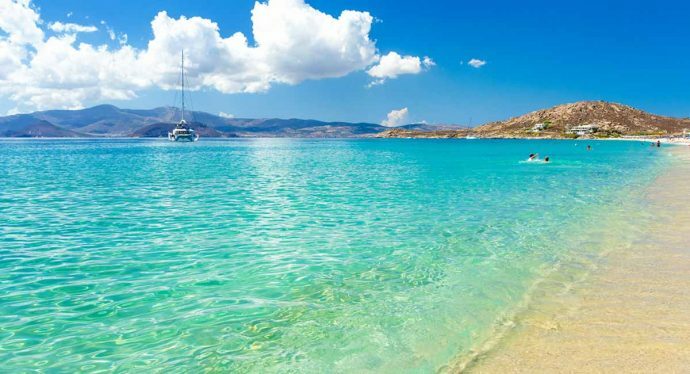 Without a doubt, Naxos is one of the most favorite summer destinations due to its numberless beaches. 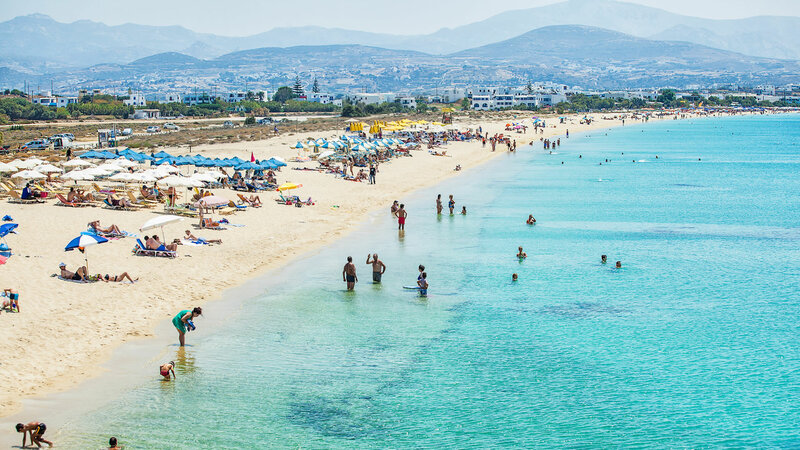 Ideal for families, extreme sea sports’ fanatics, such as Agia Anna beach, or romantic couples looking for private beaches, the best beaches in Naxos are mostly gathered on its western side, right after Naxos Hora. At a distance of about 30km from Hora, Apiranthos is called the “marble” village, due to its alleys paved with marble. 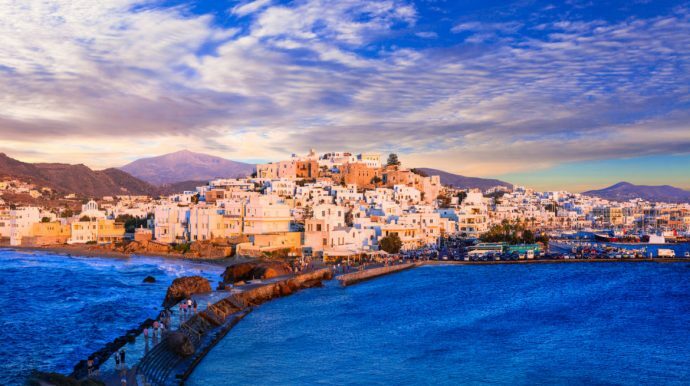 A village with its own distinct folkways and dialect, it is best set apart by its residents’ inclination to arts & culture. 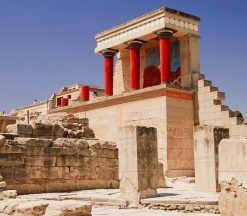 There is strong indication that Apiranthos has been inhabited since ancient times, a fact that contributes to its deep and outstanding tradition. 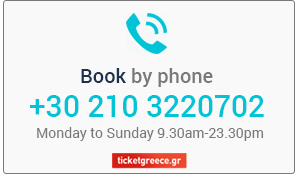 Take a stroll through its fairytale alleys, have a Greek coffee in one of its traditional coffee housescalled kafeneia and make sure to try out the local products. 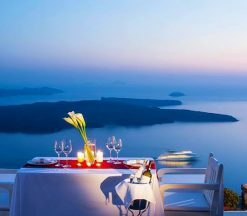 Reservations depend from the availability of the ferry tickets and the hotels on the island. 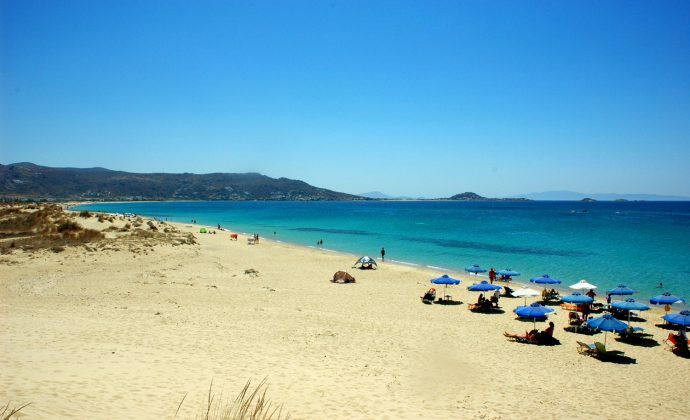 Usually the hotel is located at Naxos town or to Agios Georgios beach.